Get your hand-crafted Maserati repaired by a repair facility trained and authorized by the manufacturer. Fill out our form or call (770) 427-4590 to request a consultation. The first Maserati authorized collision facility in the United States. 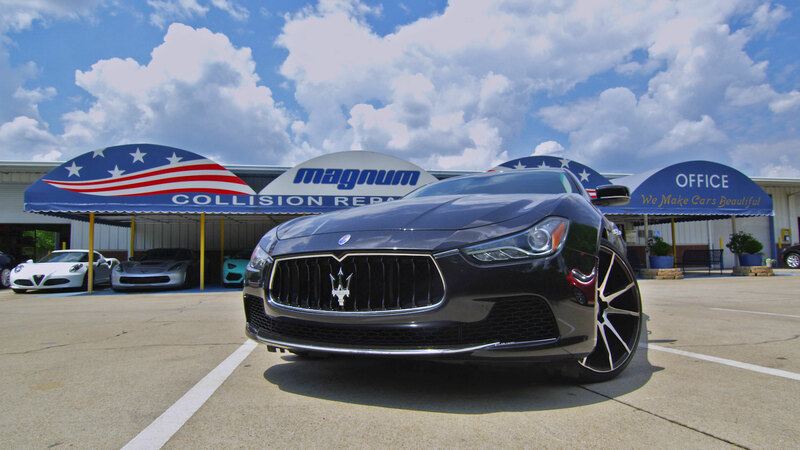 Magnum Collision was the first collision facility to be authorized by Maserati. Our relationships with Ferrari and Maserati drivers has always been strong, and we have been sending our technicians to manufacturer training in Italy for decades. So, naturally, we were first because we already had the necessary equipment and credentials when the program began. Your Maserati is one of the biggest investments you’ll make in your lifetime. Protect that investment by using a Maserati Certified Collision Center.